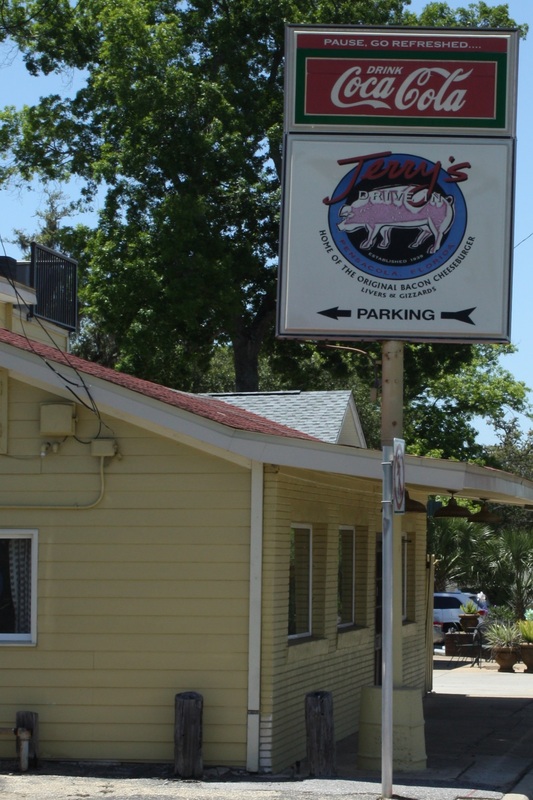 Established in 1939, Jerry’s Drive In is a Pensacola landmark. It’s not uncommon to drive by Jerry’s at lunch time and see a line of hungry customers out the door. Each year our inbox is flooded with emails from die-hard Jerry’s fans insisting we try the burger. So, we did. The burger at Jerry’s is small and wonderfully simple. One panel member described the burger as “what fast food burgers look like in commercials” and he’s right. Priced reasonably this burger far exceeds what you’d expect for $3. The burger’s best quality is it’s meat-to-bun ratio. Every bite you take contains the perfect amount of each ingredient. The patty is thin and appears to be of the frozen variety. It’s grilled on a flattop with American cheese melted perfectly on top. The bun is small and lightly toasted but received several negative comments. By lightly toasting the bun- it became dry. Our judges agreed that a softer bun or grilling a buttered bun would have increased the burger’s score significantly. The produce is average; sliced tomato, iceberg confetti-style lettuce and diced onion. If this Tour were about great local bars, atmosphere and local nostalgia- Jerry’s Drive In would receive a perfect score of 10. But you know our focus is one thing only, folks- TASTE. Scored on that alone, the Jerry’s burger receives a modest 5.64- but don’t let that keep you from joining Cliff Clavin and Norm down at the bah. Priced at just over $3.00 this may not be Pensacola’s best burger, but it’s certainly in the “best burger for the price” debate. 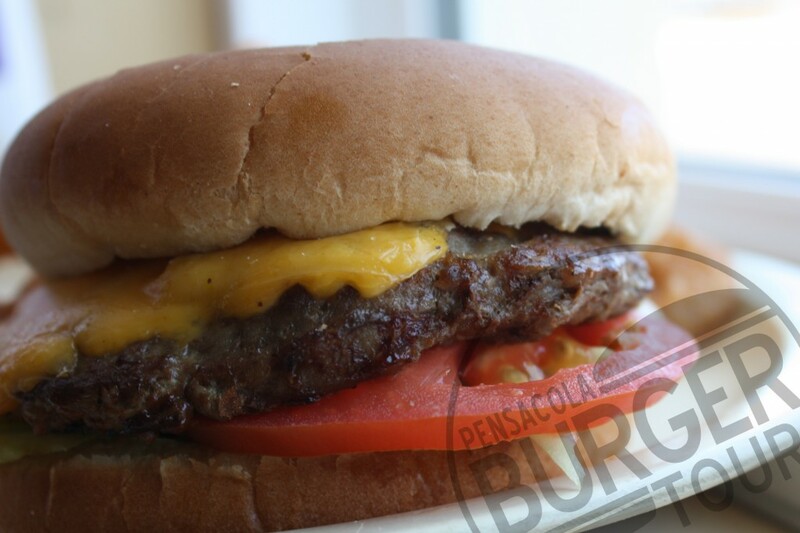 Please keep your recommendations coming and stay tuned next week as the Pensacola Burger Tour rolls on.